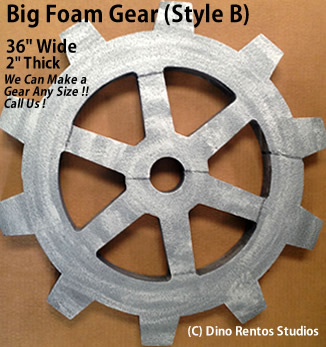 36" Big Foam Gear-B Prop - Dino Rentos Studios, INC. 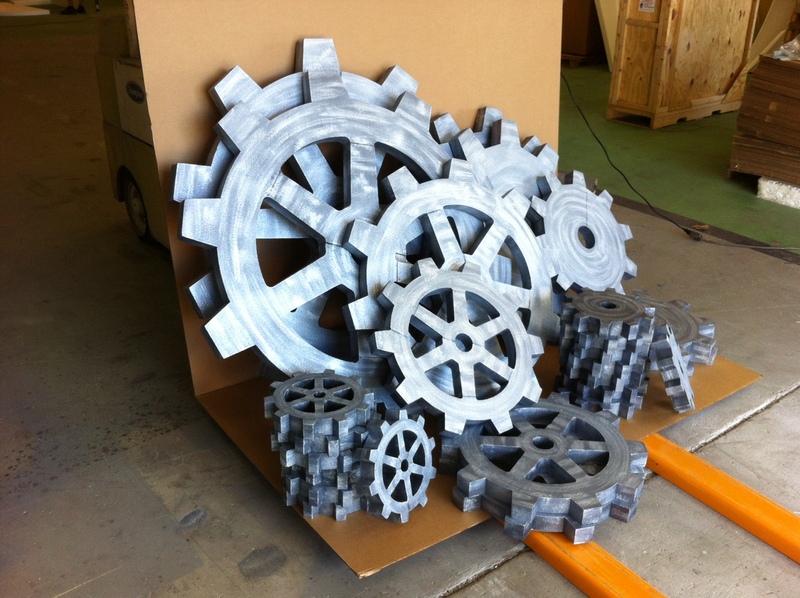 This gear prop is great for a construction or chocolate factory theme! Shown is Gear Style "B" custom painted to look like Iron. You can also have your gear painted in different colors to give them a cartoon look. Call us for custom sizes, shapes, or colors. If purchasing multiple gears call for discount shipping pricing.